Island luxury never looked so good – or felt so thrilling. 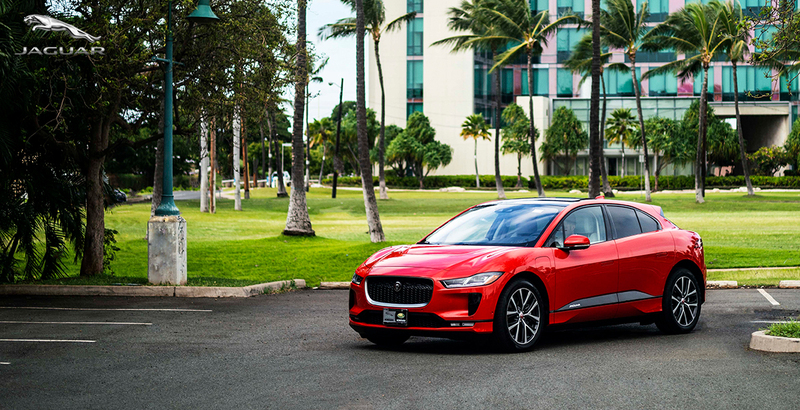 Established in 2014, Jaguar Honolulu invites you to hear the roar and feel the power of a true performance legend that blends genuine European luxury with a world class sporting pedigree. Choose from a wide selection of iconic Jaguar models, from the affordably luxurious Jaguar XE sedan to the legendary F-TYPE performance coupe. Plus, take advantage of our professional maintenance and repairs at our state-of-the-art service center. When you decide to drive a Jaguar, you become part of one of the automotive world’s most exclusive clubs. Don’t hesitate to contact us with any questions about our product range or services. Call any of our numbers below, or email us info@jnautomotive.com and a member of our staff will be on hand to help in any way possible.